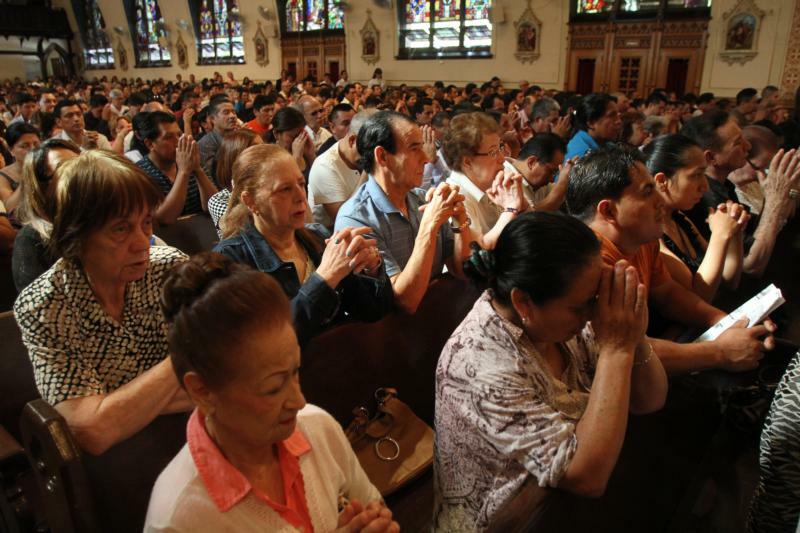 We don’t always know why people do or do not come to Mass. Nonetheless, parishes can take special steps to improve attendance. With the provision that we already have the Eucharist, churches can improve in several ways. The first is hospitality. This means much more than simply offering coffee and cookies after Mass. We emphasize welcoming all people, making room for visitors, helping people feel at home and consciously greeting people from parking lot to entrance to participation to departure … and coffee and cookies after every Mass. One young couple who had attended another parish for several weeks said after their first visit to our parish that 13 people had said hello to them by the time they sat down. What’s more, they felt warmth and welcome. Second, the preaching at every Mass has to be worth listening to. As a weekly homilist, I work on the homily all week long. But I don’t work alone. I explore the Sunday readings with a Tuesday morning group, as I do with the Rite of Christian Initiation of Adults (RCIA) program. The parish staff often gives feedback on my preliminary homily thoughts. In short, I try out various ideas on anyone who will listen. It takes time for ideas and appropriate illustrations to surface. Music can make a major difference in a Sunday celebration. There are different tastes, but the common denominator is that it has to be done well and have the invitation to include others’ participation. Pastors must make liturgical music a high priority and invest in it accordingly. Added to those three big challenges, Sunday liturgies become more inviting if the following three steps are also taken: basic needs are met, children are welcomed and weekly preparation for Sunday Mass is done by all parishioners. Basic needs include good sight and good sound in the church building as well as air conditioning, accessibility and a clean environment. When people don’t have to overcome such obstacles, they more quickly make the effort to come. Children are an important part of any parish. We have children’s Liturgy of the Word, child care with trained staff and a Sunday morning preschool. What’s more, we welcome kids and never complain if kids cry out. There is a “respite space” for parents to take their little ones who need to run or make noise, where the kids’ noise disrupts no one while the parents can still see and hear. And finally, parishioners have to do their own preparation for Sunday Mass. During each week we provide reflections on the readings and a taste of the music list, all sent out through email blasts or on our parish app. Our weekly podcast allows people to hear the readings with a simple commentary. And multiple parish groups study the readings well before coming to church. This, along with all the other steps, helps attendance and conscious participation.